Direct mail is alive and kicking! The exodus to the Internet by most companies has left your mailbox relatively free from marketing messages. That means that you can be where your competition is not.Think about it. If every time you try to engage a prospect, your competitor is standing right beside you giving their spiel as well, it makes it more difficult to sell. That’s the problem with Yellow Pages, that’s the problem with Google AdWords and Google’s organic listings. Direct mail can separate you from your competition — literally. We can identify a target market, research their wants and needs, create a list, write persuasive copy and deliver it in a way that makes people sit up and take notice. How can you segment them? How can you get a list of them? Do you send postcards, or letters, or both? What offer do you make? How much information should you give them? Are you trying to make the sale immediately, or drive them to a website, or request information? How do you send it: letter, envelope, paper bag, mason jar, USPS, UPS? Do you send it first class, standard, bulk? What font do you use on the envelope? Direct mail, just like marketing in general, is a science. Not an art, a science. It has rules, laws, and theorems. It has ways to test, track, measure, and optimize. Most people write a letter, mail it to a general list, and claim direct mail doesn’t work. That’s a flawed assumption. Direct mail is extremely effective. So effective in fact, that even Google does it. 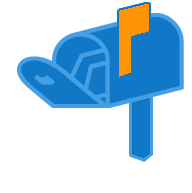 Are you interested in finding out more about our direct mail services? If so, contact us — we’d be happy to show you how direct mail can be the difference that makes a difference to your bottom line.